Some recent papers and news articles from my daily blog MicrobiomeDigest. Not all are Open Access, but they are worth mentioning here too. 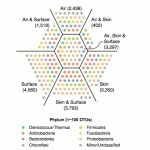 While indoor air and dust are known to also contain many human-associated taxa, household air communities have not yet been directly compared to occupant skin microbiomes. 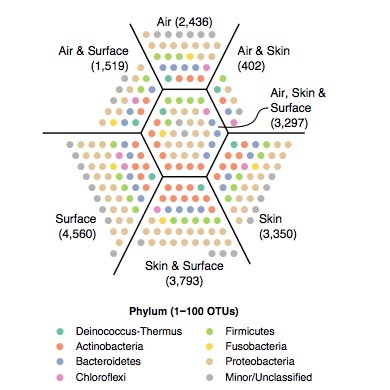 We sampled microorganisms from air, surfaces and occupant skin in nineteen Hong Kong households, and used Illumina sequencing of the V4 hypervariable region of the 16S rRNA gene to investigate the dispersal relationships between the bacterial communities at each site. Our results confirmed that indoor surfaces bear the “bacterial fingerprint” of household occupant skin. 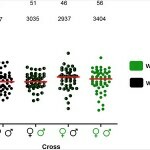 However, while air communities contained abundant human-associated taxa and were household-specific, air communities in each household did not resemble occupant skin from that household any more than occupant skin from other households. Initial and final setting times of the different mixtures tested. 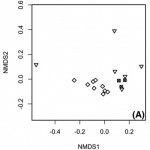 This study describes the influence of six commercially available possible protection approaches (diatomaceous earth, metakaolin, expanded clay, granular activated carbon, zeolite and air entrainment) on mortar setting and compressive strength when combined with either Bacillus sphaericus spores or Diaphorobacter nitroreducens and their respective nutrients. 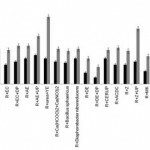 The influence of two novel, self-protected, bacterial agents was also investigated within the same scope. The most severe effect on setting time was observed as an undesirable delay of 340 min in all samples containing nutrients for ureolytic bacteria. Samples containing B. sphaericus spores showed the most significant decreases in compressive strength up to 68%. Yet, the addition of either D. nitroreducens or its respective nutrients did not cause major impact on both the setting times and the compressive strengths of the mortar specimens. 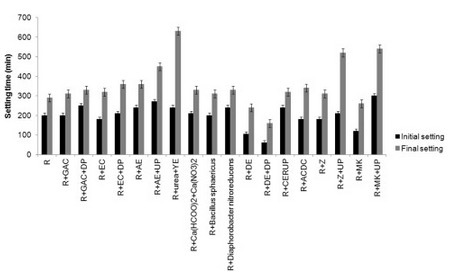 The endophytes of Acer negundo, Ulmus pumila and Ulmus parvifolia were sampled over three seasons and analyzed using culture dependent and independent methods (culture on two media, terminal restriction fragment length polymorphism, and tagged pyrosequencing of 16S ribosomal amplicons)… Multivariate analysis on the culture independent data revealed significant community differences between the endophytic communities of A. negundo and Ulmus spp., but overall season was the main determinant of endophytic community structure. Fig 2. wMel does not affect fecundity in Brazilian Ae. aegypti. 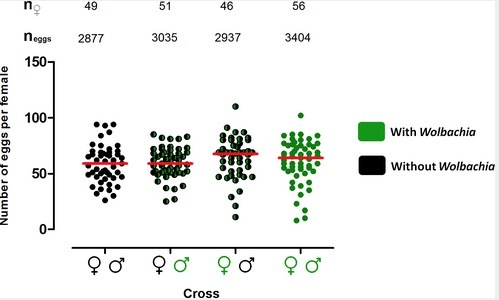 The symbiotic bacterium Wolbachia is currently being trialled as a biocontrol agent in several countries to reduce dengue transmission….Through analysis of laboratory, field and mathematical data, we show that the wMel strain ofWolbachia possesses the characteristics required to spread effectively in different urban socio-demographic environments in Rio de Janeiro, including those where mosquito releases from the Eliminate Dengue Program will take place. 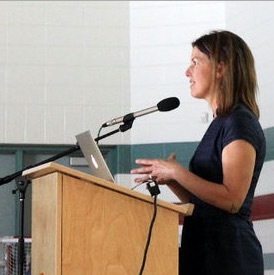 TED fellow and microbiologist Jessica Green addresses students at Assummption Junior/Senior High School in Cold Lake in a talk sponsored by Osum Corporation. Green spoke about how microbes fill our lives and how many are actually beneficial to our health….. In the past, Green said, “microbes were treated like a pollutant.” New advances into the science of DNA sequencing have shown that the planet – and even the human body – is mostly made up of microbes. The discovery has “completely changed modern life as we know it,” Green said. 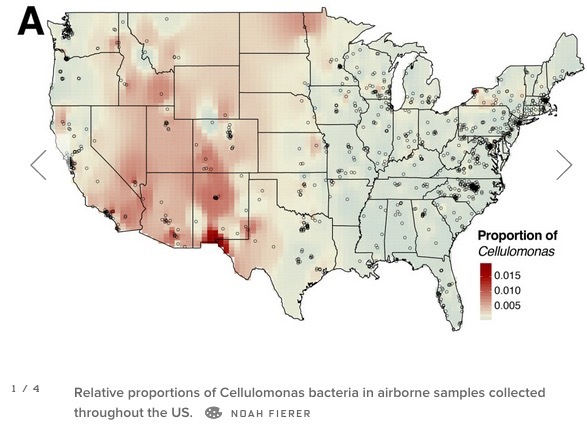 Relative proportions of Cellulomonas bacteria in airborne samples collected throughout the US. 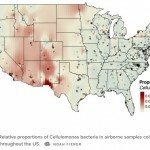 Thanks to a 14-month citizen-science project that sampled and analyzed airborne dust around the country, researchers have constructed the first atlas of airborne bacteria and fungi across the continental US. And airborne microscopic life is really diverse.